Starring Channing Tatum, Adam Driver, Daniel Craig, Riley Keough, Katie Holmes, Seth MacFarlane, Hilary Swank, and Katherine Waterston. It was a relief when Steven Soderbergh announced he was returning to feature film making. Whilst his hiatus was extremely busy, it’s a real joy to see his signature style back on the big screen again. 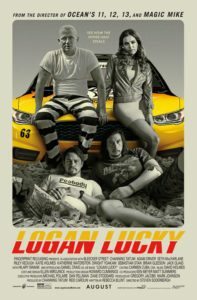 Logan Lucky is by no means a perfect film, but it’s a ton of fun and has some great performances. Soderbergh regular Channing Tatum stars as Jimmy Logan, a down on his luck guy who’s just been fired from his job filling in sinkholes beneath a NASCAR track. Along with his brother Clyde (Driver), he decides to pull off a heist during a race. With the help of incarcerated bank robber Joe Bang (a superb performance from Daniel Craig) and his two nitwit brothers they set out with a crazy plan and only a few brain cells to get the job done. 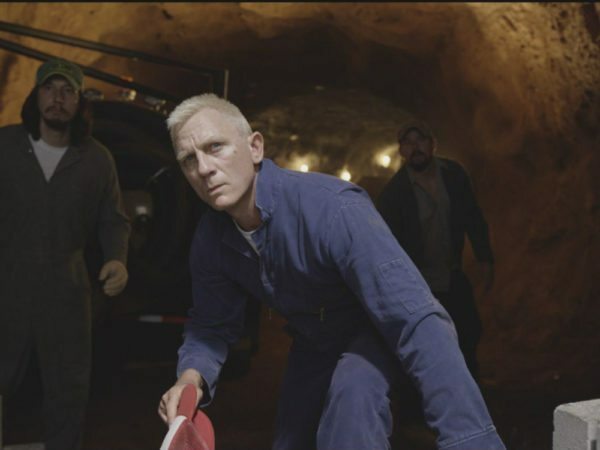 Logan Lucky is strongest in its first two acts. The setup is believable and Tatum puts in a solid performance as loveable hick Jimmy. 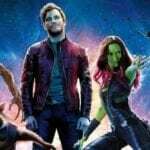 He is also the only member of the main cast not to let their southern accent slip. As the plan comes together there’s some genuinely laugh out loud hilarious moments and the fast editing and montage scenes are pure Soderbergh. Unlike the slick Ocean’s trilogy, Logan Lucky is a working man’s heist movie. There’s no fancy gadgets or money to play with, it’s about getting the job done in the simplest way possible. The heist itself is great to watch and the sight of a bleached blonde Daniel Craig explaining chemistry to the two brothers is surreal and hilarious. There are a lot of flaws and the biggest is the third act. After moving through the story at a lightning pace, once the heist is done the film grinds to a halt. We have the late introduction of Hilary Swank as an FBI agent who makes zero impact and it feels like it takes an age for the various plot threads to come together. The women in the film are also underserved by the script as well. Riley Keough as little sister Mellie Logan delivers a solid performance but is given little to do. Similarly Katherine Waterston appears in a couple of scenes and makes zero impact. Katie Holmes also appears to just be window dressing as well. Finally the less said about Seth MacFarlane’s embarrassing attempt at an English accent the better. Let’s just say that it’s on par with the abomination that Don Cheadle unleashed on the world in the Ocean’s films.